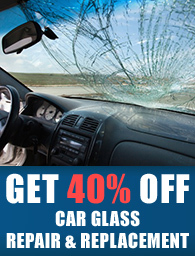 At one time or another you will probably become a victim of a windscreen chip or crack due to no fault of your own. You may be driving enjoying the scenery and all of a sudden there is a loud pop and then you see a small pit in the glass in front of you. Of course you do not really think anything of it at the time because it is so small it should not hurt anything. It is not blocking your vision in any way and it is not big enough to be unsightly. So you forget all about it.